We are planning to hit the road early, but the cocktails the previous night were potent, and the weather in Sydney is glorious, so we linger over our alfresco breakfast, enjoying the restorative coffee and the Potts Point ambience. Eventually we all pile into our rental car and make our way out of Sydney – the traffic conspires against us, but the scenic journey to the Hunter Valley is still only two and a half hours, and we understand why so many Sydneysiders are making the same journey on this magnificent May weekend. 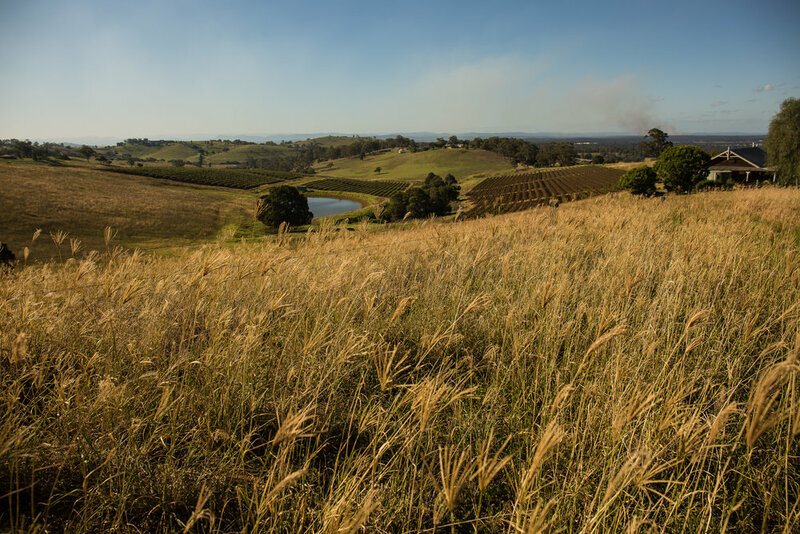 The Hunter Valley is most famous for its wines, but is increasingly being recognised as a true foodie destination in its own right, with a wealth of fine restaurants, cafes and artisan providores. So if, like us, you are arriving in the Hunter Valley on a Saturday, we recommend beginning with an early lunch at one of the many glorious vineyard restaurants – early to ensure you are hungry again in time for your degustation dinner, and also to prime your stomach before the afternoon’s wine tastings. There are many lovely restaurants to choose from, with nearly all open for Saturday lunch. We can recommend Tatlers Tapas Restaurant – a cheerful and eclectic bistro in Lovedale with tables in a sunny courtyard, and an accompanying tasting room with enthusiastic staff. After much deliberation, and difficulty narrowing down choices on the appealing menu, we ended up with a bounty of delicious and substantial share plates, presented in person by the chef who’s pride in his produce was unmistakable (the salt & pepper squid with aioli and lemon was particularly popular). 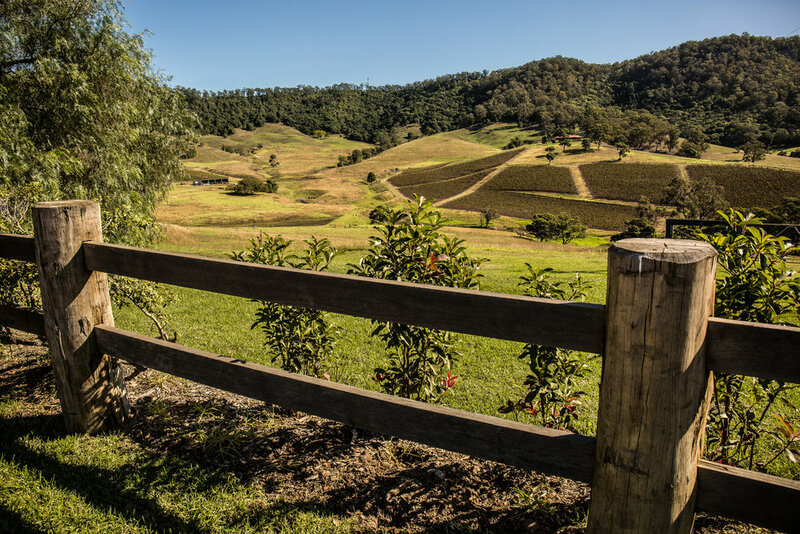 It is then time to head to some of the Hunter Valley wineries – there are some 150 cellar doors to choose from. 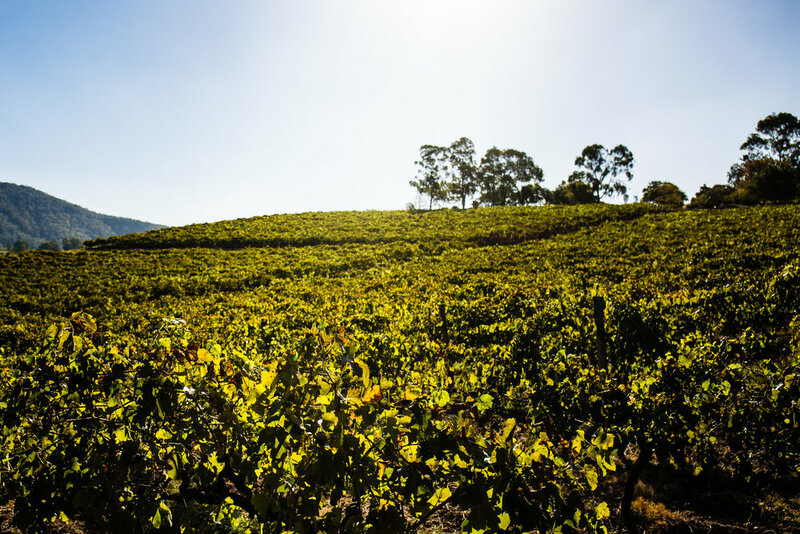 While you may have some favourite brands in mind, the big name vineyards can be crowded, especially on weekends, and we would recommend exploring some of the lesser known cellars, which can often provide a more personal experience. 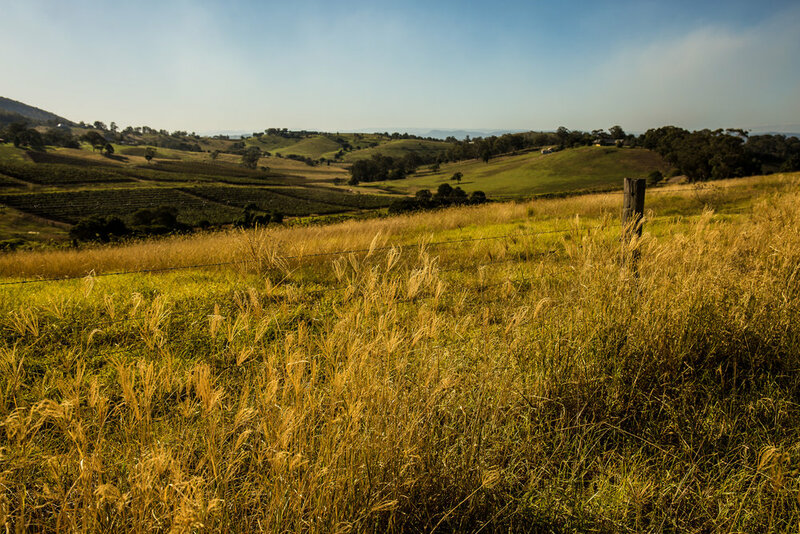 And although maps are available from all the tourist information centres, the Hunter Valley is easy to navigate, and there is a lot to be said for meandering through the back-lanes and side roads, stopping at anywhere that takes your fancy. 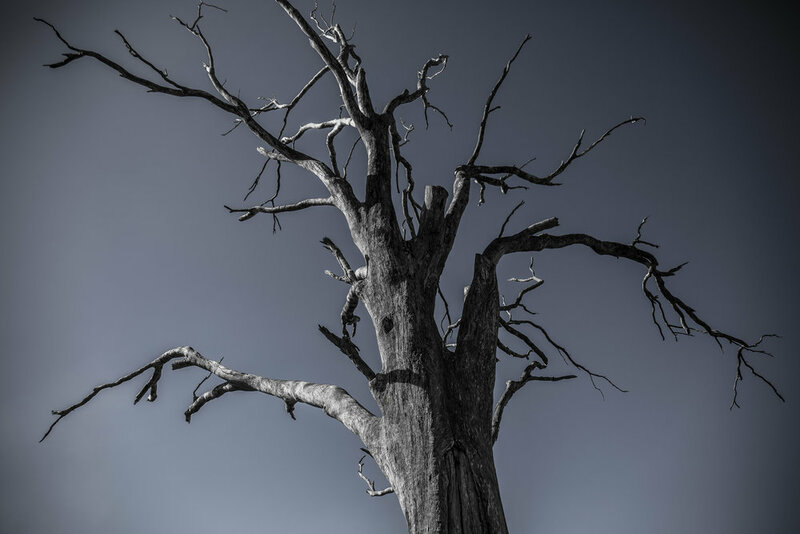 While much of the Hunter is picturesque, the loveliest landscapes are without a doubt in the Mount View region – Mount View Road and its branches are peppered with stunning outlooks, and there are cars stopped to take in the view (and photos) around every third bend. Once you have tasted the region’s finest wines (or beers, gins and liqueurs if these are your preferred beverages), it is time to head to your accommodation and ready yourself for an evening of gourmet indulgence – as long as you have remembered to book ahead! The Hunter Valley has a total of six hatted restaurants in the 2018 AGFG Restaurant Awards, with Muse bearing two, and Margan, Esca Bimbadgen, Exp, Bistro Molines and Muse Kitchen each having one. In the 2018 Gourmet Traveller Australian Restaurant Awards, honours were bestowed upon Bistro Molines, Margan and Muse. But with such recognition comes the need for reservations, and most, if not all, of these restaurants will usually be booked out on Saturday nights – you have been forewarned! Our accommodation for the weekend is The Cook’s House at Corunna Station, a two bedroom, two bathroom cottage at the northern end of Hermitage Road. In the dusk light, there was a brief moment of apprehension as we approached – at a distance, The Cook’s House appears a little dilapidated. But on closer inspection, all fears were thoroughly allayed – The Cook’s House is a masterpiece of sophisticated restoration and repurposing. Previously the kitchen and dining room for the station’s shearers, the perfectly proportioned property has been lovingly restored by its owners, with immaculate style and attention to detail. We excitedly explore all its nooks and crannies, finding many considerate touches, and are delighted to find that wine, port, cheese, grapes and crackers have all been provided for our enjoyment. A "Welcome Gift" of a bottle of wine, as well as a bottle of port, were very well received! 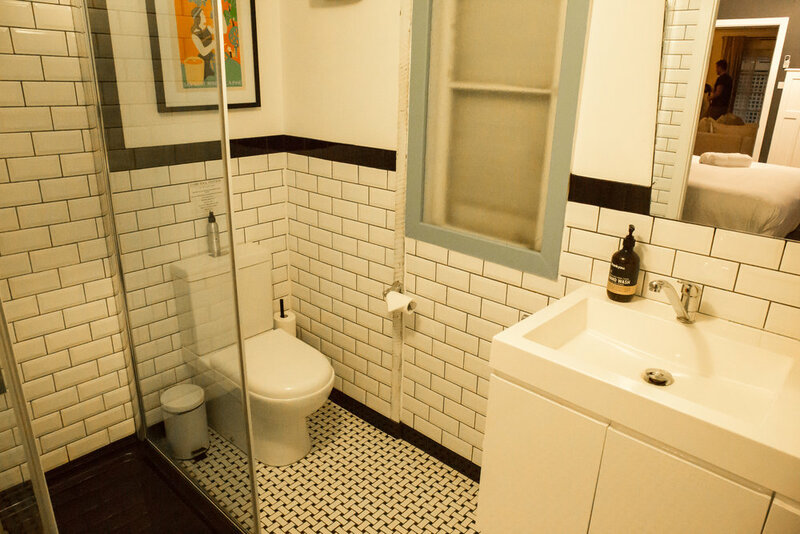 Each includes reverse-cycle air-conditioning, a radiator heat and a vintage fan. Mornings are cool, until the sun can do its work. After your Saturday night dinner, you may awaken feeling like you could never eat again, but a brisk walk in the crisp morning mist is sure to rustle up an appetite – The Cook’s House, like many of the Hunter’s hotels and B&Bs, is set in idyllic farmlands and is well worth exploring on foot. For breakfast, especially in the cooler months, choose a restaurant that makes the most of a sun-filled outdoor area – we can recommend The Deck Café, which, true to its name, has an expansive deck that was bathed in sunshine on this glorious Sunday morning, upon which we lingered long over coffee and eggs. It does get busy, so again, book ahead or be prepared to wait (there are comfy couches available for this purpose). While your Saturday exploration was all about the wine, food is the focus for your Sunday. As many Hunter Valley restaurants are closed on Sunday nights, we suggest making your Sunday dinner a more casual affair, with a feast of bites and nibbles around the fireplace at your accommodation, accompanied by a selection of the wines you have acquired the previous day. And so it is time to set forth for foraging. Fortunately the Hunter Valley is made for such sorties. Begin in Lovedale, with a visit to Binnorie Dairy, where a generous, if quick-fire, tasting of nine different cheeses will help in your selection of a range of hard and soft varieties. 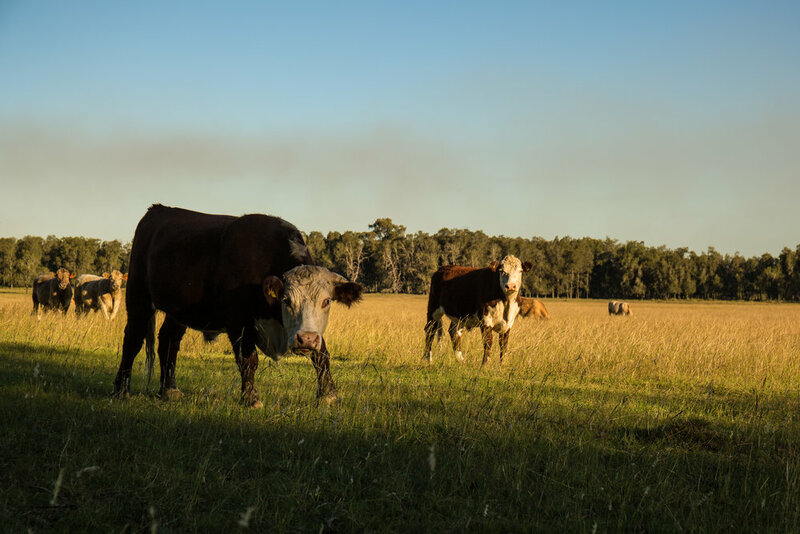 It is then a short journey to the Lovedale Smokehouse for smoked meats and pates – no tastings here, unfortunately, but a vast range of products incorporating everything it is possible to smoke, from seafood and meats, to peanuts and cheeses, to salts and honeys! Next on the agenda is the dessert course. First, if you didn’t stop in on Saturday, head to De Bertoli for sweet wines, with a range of Noble One vintages and fortified wines to taste and choose from. For dessert itself, it is almost impossible to resist the famous Sabor Dessert Bar, on Broke Road on the way to Pokolbin. Here, macarons and petit fours vie for attention with elaborately decorated cheesecakes and mousses. Continuing along into Pokolbin, The Smelly Cheese Shop is the destination for more cheese ($4 for five generous tastings), as well as accompaniments such as crusty bread, crackers, pastes and fruit. And finally, pop into the cheerful providore at Two Fat Blokes, where the delicatessen section can complete your selection of nibbles with all sorts of antipasto delights. Back at Corunna Station and The Cook’s House, we head out onto the front verandah to light the outdoor fire and watch the fading light send pink and yellow tendrils across the sky. Wrapped in the thoughtfully provided blankets, we contentedly consume our day’s Hunter Valley gatherings. If you are lucky enough to be making a long weekend out of your visit to the Hunter Valley, and delaying departure past Sunday, it is worth knowing that there are only a few restaurants open on Mondays. 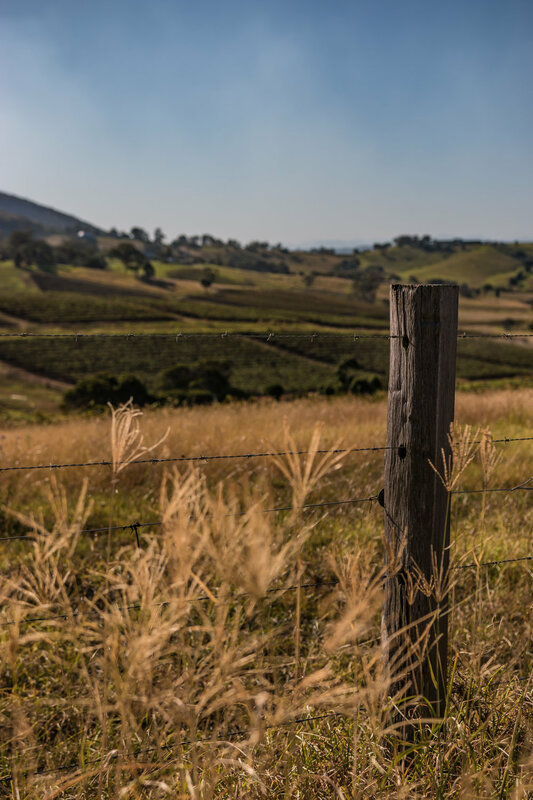 But fortunately, one of these is Bistro Molines, and of all the restaurants and wineries in the Hunter Valley, few can have as perfect a view as that enjoyed by Tallavera Grove Vineyard and Bistro Molines. Here, the menu is deserving of its many accolades, and the setting, overlooking the vineyards and rolling hills in glorious sunshine, is a delight. And the food ... well its consistent AGFG Hat since 2010 probably says it all, and the enthusiastic and knowledgeable staff help it taste even better!